On 31st October 2015, GCAT organized a site visit for Expert Group Member, Mr Ravi Duggal to a PPIA linked Hospital in Dharavi, Mumbai. The objective of the site visit was to provide a field based perspective of the PPIA pilot and showcase the positive impact that the pilot has had since its inception. The PPIA mechanism was explained and Mr. Duggal questioned how the subsidies are being paid and what the future plans are in order for the project to be sustainable. It was explained to him that eventually the plan is for the government to hire Third Party Agencies to play a facilitating role. The impact of the pilot so far i.e. a drop in defaulters and an increase in practitioners who prescribe the correct prescription was highlighted. Mr. Duggal was keen to understand if the findings from the PPIA sites in Mumbai are being recorded and published. 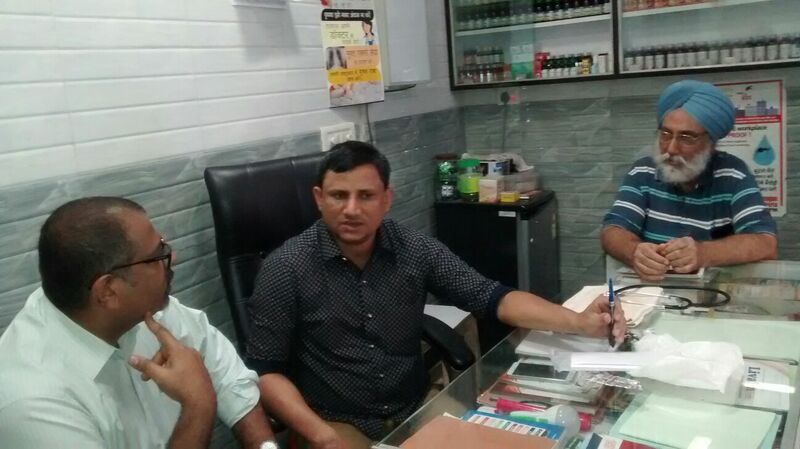 Mr. Duggal enquired about the cost per patient and the cost to third party agencies. The idea of extending support for second line drugs was discussed. He was appreciative about the concept of an interface agency. Need for regulation of private was mentioned. Mr. Duggal wanted to know where all in Mumbai the Gene Xpert test is available and the cost for the same. The government’s TB budget was discussed and Mr. Duggal emphasized the need to advocate with the state government, in the context of lack of clarity in the Centre State split. He also mentioned the point of devolution of more taxes and subsequent increase in revenue is hogwash. In his opinion, a year more is required to understand the revised financing implications. On face value he believes that ultimately there will be a loss to states. Mr. Duggal is part of a committee which recently reviewed the taxation on devices and diagnostics and GX customs duty issue was discussed. The committee will be putting their recommendations forward to the government. He highlighted that the NITI Aayog and the Health Ministry are disagreeing on certain aspects of the National Health Policy and hence it is delayed.